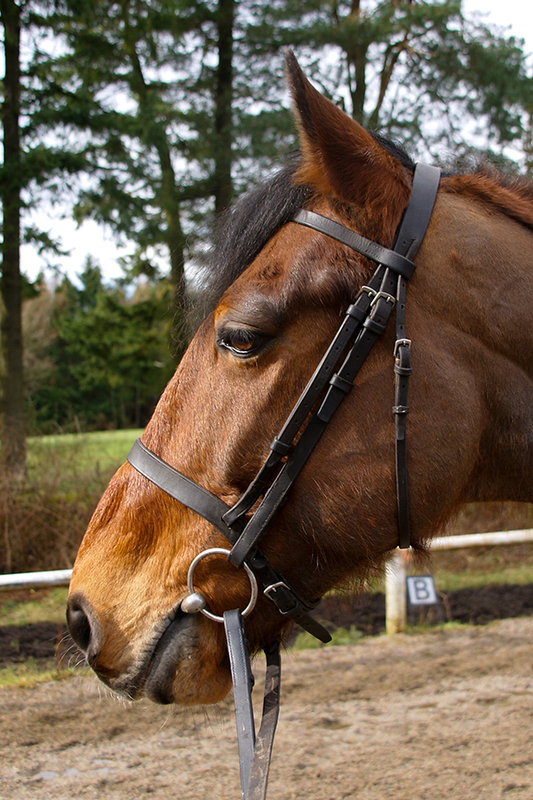 Oliver is a 15.3hh bay Irish Sports Horse gelding who was born in 2000. Oliver arrived at Hayfield in 2010 and quickly settled in, becoming a firm favourite with our slightly more experienced adults and teenagers. Oliver is capable of working very nicely on the flat and is also a talented jumper. Following an injury in December 2014 Oliver had a year out of the riding school where he underwent shockwave treatment. He has now returned to work in the riding school but takes part in mainly flatwork lessons.